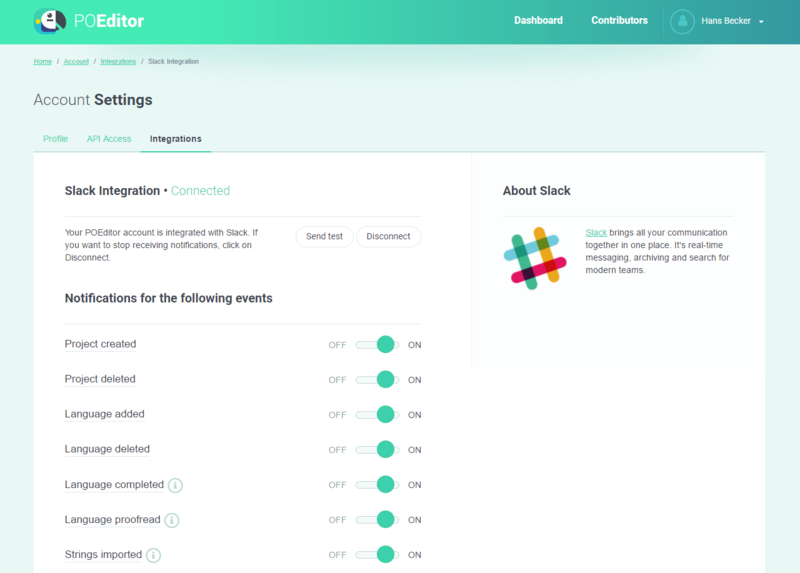 How do I integrate Slack? 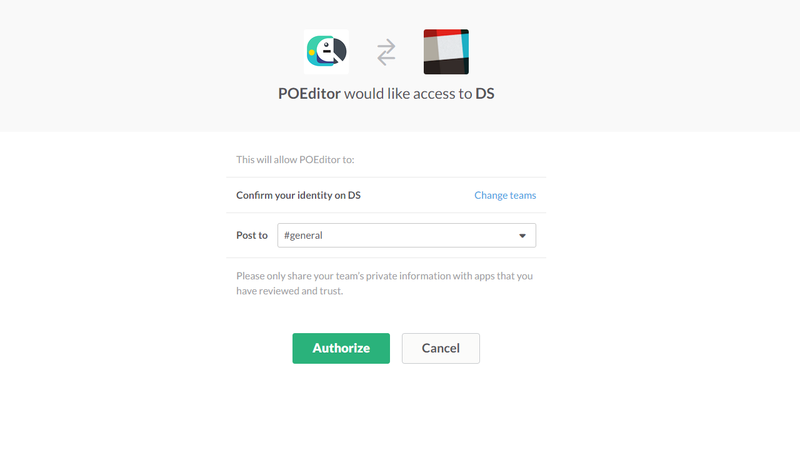 On Slack’s authorization page, pick where you want to receive the notifications regarding your localization projects (Channels or Direct Messages), then authorize the POEditor localization app. 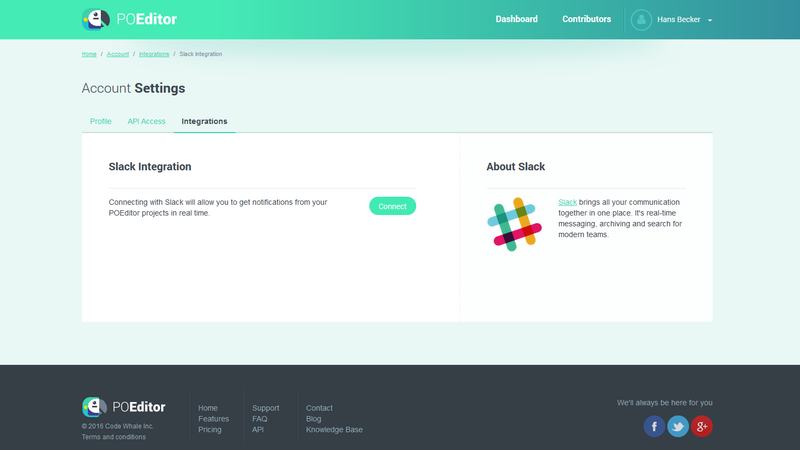 After connecting Slack to POEditor, you can send a test to see if the Slack integration works. If the test message appears where it should, your work here is done. How do I integrate HipChat? 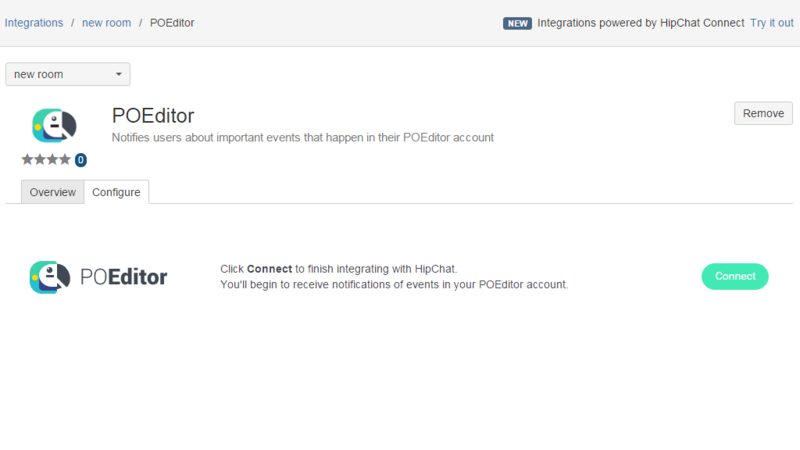 To connect your HipChat account with your POEditor account, go to the Account Settings > Integrations page in your POEditor account, click on HipChat, then click on Connect. 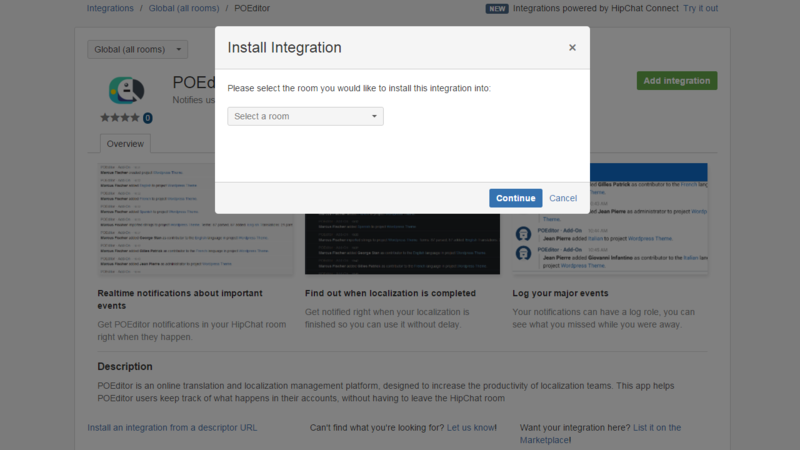 On HipChat’s integration page for POEditor, pick a room where you want to receive the notifications regarding your software localization projects, then click Approve to install the integration. Finally, press Connect to give access to the POEditor localization app. Optionally, you can send a test to see if the HipChat integration works. 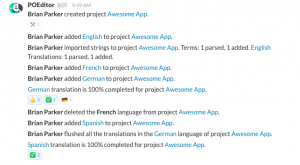 What events in my localization projects will I be notified about? All the notifications are turned on by default, but you can switch off any of them if you wish from the integration page. 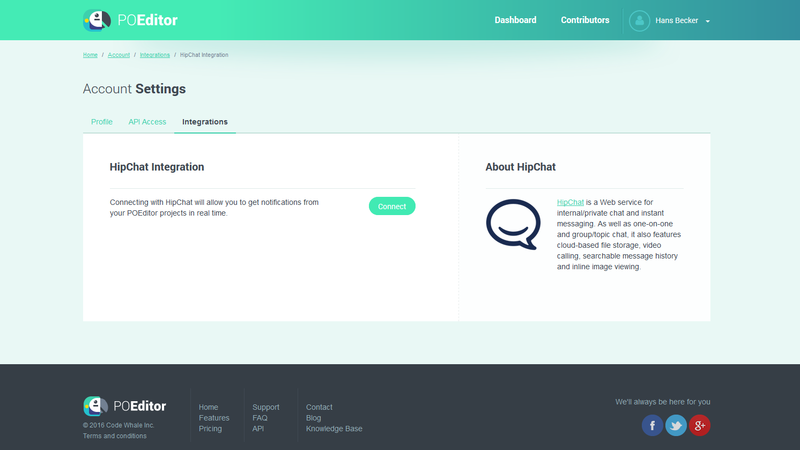 As a final consideration, please note that the integrations page is only accessible to project owners, because all integrations are done on an account level. 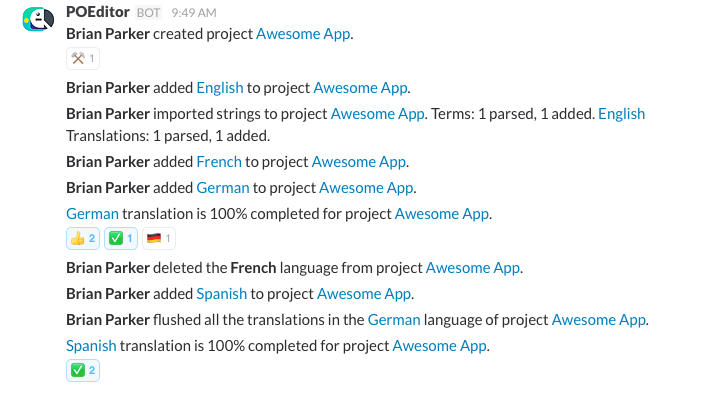 You can now rest assured that you (and your localization team) will always be on the same page with the events taking place in your software localization projects.